All readers can take part in this auction. All lots in this auction are Mint Never Hinged, otherwise noted accordingly. All lots offered in this auction are not from the stock of the Society, but from other collectors and readers like you. 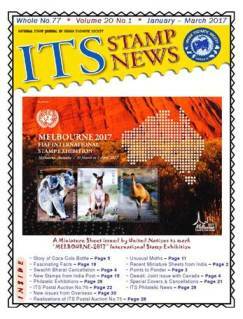 It is a part of “ITS Stamp News”, quarterly journal of INDIAN THEMATIC SOCIETY. For further details subscribe this journal and enjoy regular postal auctions in future as well. Minimum bid will be estimated price, as given in last of every lot in Indian Rupees. All lots are sold to the higher bidder at one step above the under bidder. Lots can be examined before the closing date only by prior appointment. Bidding increments are up to Rs.100 by Rs.5, Rs.101 to 300 by Rs.10, Rs.301 to 600 by Rs.25, Rs.601 to 1000 by Rs.50 and Rs.1001 to above by Rs.100. Overseas Readers can also take part. Treat Rs.58 equal to US $1 and Rs.66 equal to Euro 1. Bids also accepted by SMS, Email, WhatsApp, but confirmation by snail-mail is must. The successful bidders will be notified after closing date and the payment must be made within seven days of receipt of intimation. 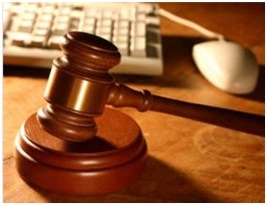 In case the payment will not receive in stipulated period all future bids from the same bidder, will be rejected without any prior information. 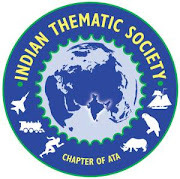 All Payments must be by bank draft / bank transfer in favour of “INDIAN THEMATIC SOCIETY” and payable at LUDHIANA. Overseas Collectors can make payment through PayPal / Western Union / Moneybooker. Other options are also available for easy payment. British India – 1902 – SG142 – King Ed. VII – Mint but faded due to climate – Cat. £20 – Rs.100. India – 1948 – SG305 – First Anniversary of Independence (Mahatma Gandhi) – 1½ Anna – Mint but sticking to original parchment paper – Cat. £5 – Rs.100. India – 1948 – SG306 – First Anniversary of Independence (Mahatma Gandhi) – 3½ Annas – Mint but sticking to original parchment paper – Cat. £7 – Rs.280. India – 1948 – SG307 – First Anniversary of Independence (Mahatma Gandhi) – 12 Annas – Mint but sticking to original parchment paper – Cat. £160 – Rs.1000. India – 1950 – SG329/32 – Inauguration of Republic – Complete set of four – Mint – Cat. £30 – Rs.1000. India – 1951 – SG334 – Centenary of Geographical Survey of India – 1v – Mint – Cat. £3.25 – Rs.90. India – 1951 – SG335/6 – First Asian Games, New Delhi – Set of two stamps – Mint – Cat. £16 – Rs.300. India – 1973 – SG MS704 – Indipex-73 – Miniature Sheet – Cat. £ 8.50 – Rs.400. India – 1974 – SG MS711 – Indian Masks – Miniature Sheet – Mint – Cat. £20 – Rs.900. India – 1974 – SG MS743 – Centenary of Universal Postal Union – Miniature Sheet – Cat. £10 – Rs.850. India – 1977 – Set of four special exhibition covers of NORPHIL-77, Circle Level Philatelic Exhibition of N W Circle, held at Ludhiana – Featuring Punjab (Anandpur Sahib & Baba Attal Sahib Tower), Harayana (Rural Belle’s & Black Partridge Bird), Himachal (Boys of Kullu Valley with Lamb & Apples) and Chandigarh (Gandhi Bhawan & Symbol of the City beautiful) – RARE; Hard to find – Rs.400. India – 1982 – Set of two special exhibition covers of District Level Exhibition “AMPEX-82” by Amritsar Philatelic Club, designed by renowned artist Shri Dipok Dey of Kolkata on Scouts and Ageing Means Experience – Rs.140. India – 1984 – SG1114/17 – President’s Review of the Fleet – Se-tenant block of four with margin on one side (Check scan) – Rs.600. India – 1985 – SG1177/80 – Centenary of Indian National Congress – Block of four – Rs.400. India – 1986 – SG1200/1201 – 125th Anniversary of Indian Police – Block of two Se-tenant pairs – Rs.800. India – 1987 – SG MS1250 – India-89; World Philatelic Exhibition First issue – Miniature Sheet – Rs.200. India – 1987 – SG MS1268 – India-89; World Philatelic Exhibition Second issue – Miniature Sheet – Rs.500. India – 1995 – SG MS1639 – India-South Africa Cooperation; Mahatma Gandhi – Miniature Sheet – Rs.160. India – 1995 – SG1644 – Communal Harmony Campaign; Sitar – Corner block of four with T/L – Rs.700. India – 1996 – SG MS1668 – Himalayan Ecology – Miniature Sheet – Rs.200. India – 1997 – SG MS1756 – Mother Teresa – Miniature Sheet – Rs.220. India – 1998 – SG 1796/97 – 50th Anniversary of National Savings Organisation – Corner partial sheet of six se-tenant pairs with T/L – Rs.1300. India – 1998 – SG 1803/04 – Homage to Martyrs for Independence – Corner block of two Se-tenant pairs with T/L – Rs.500. India – 1999 – SG1894/95 – New Millennium; Unity in Diversity – Tabo Monastery & Mountains – Corner block of two Se-tenant pairs with T/L – Rs.1500. India – 2000 – SG MS1917 – Indepex Asiana 2000 International Stamp Exhibition, Calcutta; Flora & Fauna of Manipur & Tripura – Rs.170. India – 2000 – SG MS1938 – INDEPEX-ASIANA-2000, Migratory Birds – Miniature Sheet – Rs.170. India – 2000 – SG 1947/50 – XXVII Olympic Games Sydney – Complete set of four all in block of four with T/L – Rs.650. India – 2000 – SG1966/71 – INDIPEX ASIANA-2000, 14th Asian International Exhibition: Gems & Jewellery – Mixed se-tenant full sheet of 40 stamps – Rs.2000. India – 2000 – SG MS1972 – INDIPEX ASIANA-2000, 14th Asian International Exhibition: Gems & Jewellery – Miniature Sheet 4 stamps – Rs.170. India – 2000 – Special Cover issued by India Post to commemorate 50th Anniversary of Diplomatic Relations between India and China, having stamps & cancellations of both countries – Rs.120. India – 2001 – SG2021/22 – Mahatma Gandhi; Man of the Millennium – Complete sheet of 20 se-tenant pairs – Rs.1300. India – 2002 – SG MS2065 – Indian Railways – Miniature sheet – Rs.80. India – 2002 – SG MS2068 – Joint issue with Japan; Kathakali dancer – Two Miniature Sheets – Rs.160. India – 2002 – SG MS2094 – Mangroves / UN Conference on Climate Change – Five Miniature Sheets – Rs.450. India – 2002 – SG2096 – Nagpur Tercentenary – Sheet-let of twelve stamps – Rs.800. India – 2002 – SG2097 – National Children’s Day; Holi Festival – Sheet-let of twelve stamps – Rs.1000. India – 2002 – SG MS2102 – Handicrafts of India – Two Miniature Sheets – Rs.150. India – 2003 – SG MS2116 – Aero India; Centenary Year of Man’s First Flight – Miniature Sheet – Rs.240. India – 2003 – SG MS2135 – 50th Anniversary of Ascent of Mount Everest by Edmund Hilary & Tenzing Norgay – Miniature Sheet – Rs.80. India – 2003 – SG MS2140 – Chennai Museum – Miniature Sheet – Rs.160. India – 2003 – SG MS2153 – Waterfalls of India – Four Miniature Sheets – Rs.350. India – 2004 – SG2198 – I.N.S. Tarangini Circumnavigation Voyage – Complete Sheet-let of twenty stamps – SL50 – Rs.750. India – 2004 – SG MS2228 – 150th Anniversary of India Post – Seven Miniature sheets – Rs.270. India – 2004 – SG MS2249 – Taj Mahal – Two Miniature Sheets – Mint – Cat. £5.50 – Rs.110. India – 2005 – SG2283/86 – Letter Boxes – Complete sheet of five se-tenant sets – Rs.200. India – 2005 – SG MS2287 – Letter Boxes – Four Miniature Sheets – Rs.150. India – 2005 – SG 2293 – Golden Jubilee of Children’s Film Society – Sheet-let of twenty stamps – Rs.800. India – 2006 – SG MS2371 – Sandalwood (Chandan) Scented Miniature Sheet – Cat. £1.25 – Rs.45. India – 2007 – SG 2378/81 – Fragrance of Roses – Phila SL-64 – Sheet-let with ornamental border of eight se-tenant strips – Rs.300. India – 2007 – SG MS2382 – Fragrance of Roses – Four Miniature Sheets – Rs.250. India – 2007 – SG 2384/87 – Fairs of India – Complete set of four different Sheet-lets – Rs.500. India – 2007 – SG MS2388 – Fairs of India – Two Miniature sheets – Rs.80. India – 2007 – SG MS2411 – Bicentenary of First War of Independence – Three Miniature Sheets – Rs.200. India – 2007 – SG MS2419 – Landmark Bridges of India – Two Miniature Sheets – Rs.90. India – 2007 – SG MS2432 – 75th Anniversary of Indian Air force – Four Miniature Sheets – Rs.200. India – 2007 – SG 2441/44 – Renewable Energy – Complete set of five Sheet-lets – Rs.1300. India – 2007 – Official Collector’s pack of stamps having some nice and high catalogue issues – Rs.750. India – 2008 – SG2459/62 – Endemic Butterflies of Andaman and Nicobar Islands – Sheet-let of six mixed se-tenant blocks – Rs.600. India – 2008 – SG MS2478 – Aga Khan Foundation – Five M/Sheets – Rs.200. India – 2008 – SG MS2485 – Joint issue with China; Temples – Five Miniature sheets – Rs.300. India – 2008 – SG 2488/89 – Aldabra Gaint Tortoise – Two different Sheet-lets of 13 mixed stamps each – Rs.400. India – 2008 – SG 2496/99 – Indian Coast Guards – Complete set of five Sheet-lets – Rs.500. India – 2008 – SG 2522 – 150th Anniversary of Standard Chartered Bank – sheet-let of sixteen stamps with gutter margins – Rs.450. India – 2008 – SG2523 – Gas Authority of India – Sheet-let of sixteen stamps with pictorial margins – Rs.280. India – 2008 – SG MS2550 – Centenary of Indian Institute of Science – Five Miniature Sheets – Rs.220. India – 2009 – Jayadeva and Geetagovinda – Two Miniature sheets of eleven different stamps – Rs.160. India – 2009 – Greetings – Complete Sheet-let of nine se-tenant blocks of four different stamps – Rs.300. India – 2009 – Heritage Railway Stations of India – Ten Miniature sheets – Rs.300. India – 2009 – India Philippines Joint Issue; Butanding and Gangetic Dolphin – Five Miniature sheets – Rs.150. India – 2011 – INDEPEX-2011; Gandhi – Khadi Stamp – Presentation Folder with Miniature Sheet – Rs.300. Aland – 2001 – WWF / Water birds – Booklet of two sets of four values – Fv Euro 3.60 – Rs.300. Aland – 2008 – Norden; Norse Mythology – Horses, Mountains – Miniature sheet of one stamp – Rs.120. Alderney (Bailiwick of Guernsey) – 1994 – Booklet of eight same stamps on Birds – Fv £1.92 – Rs.200. Angola – 1999 – Fungi & Butterflies – A beautiful complete set of six different stamps – Rs.200. Armenia – 2006 – Insects – Set of two stamps – High face & Catalogue – Rs.70. Armenia – 2006 – 50th Anniversary of the First Stamps Europa – Set of four stamps – High face & Catalogue – Rs.80. Ascension Islands – 1997 – Herbal Plants – Se-tenant strip of 5x30p different stamps – Cat. >£10 – Rs.200. Australia – 1998 – Butterflies – Se-tenant strip of five different stamps – Rs.150. Australia – 2000 – Paralympian of the year; Siobhan Paton – Sheet-let of ten stamps of 45c – Rs.150. Australia – 2006 – Whales Down Under / WWF – Official set of four Maximum cards stamped and First Day Cancelled – Official sale price $7.10 – Rs.200. Austria – 1998 – Olympic Winter Games; Nagano, Japan – Single stamp – Specimen – High Catalogue – Rs.60. Austria – 2002 – Olympic Winter Games; Salt lake City, USA – Single stamp – Specimen – High Catalogue – Rs.50. Bahrain – 1998 – 14th Arabian Gulf Cup Football Championships, Bahrain – Complete set of three different stamps – Specimen – Rs.200. Belgium – 1997 – Honey Bee – A beautiful booklet of six different stamps – Rs.200. Cyprus – 2002 – Europa Stamps; Circus – A complete set of two different stamps – Specimen – Rs.120. Faroe Island – 2003 – Year pack in original beautiful packing with complete description of all issues and Christmas Seal, at below face value – Rs.2300. Faroe Island – 2004 – Year pack in original beautiful packing with complete description of all issues and Christmas Seal, at below face value – Rs.2600. Faroe Island – 2005 – Year pack in original beautiful packing with complete description of all issues and Christmas Seal, at below face value – Rs.2500. Finland – 2002 – Coat of Arms – Complete set of two self-adhesive stamps of high face value – Rs.220. Finland – 2006 – Joint Issue with Sweden; Ships & Boats – Booklet of three values – Rs.120. Finland – 2006 – Christmas; Nordic Mythology – Beautiful Miniature Sheet of two stamps – Rs.120. Gibraltar – 1998 – SG MS833 – 80th Anniversary of The Royal Air Force – Miniature Sheet of four different stamps – Rs.230. Gibraltar – 2000 – SG937/40 & MS941 – 100th Birthday of HRH The Queen Mother – Compete set of four different stamps & Miniature sheet of four stamps – Face value £ 3.84 – Rs.300. Greenland – 2003 – Sled Dogs – Booklet no.11 of twelve stamps, three different designs – High face value – Below face value – Rs.480. Hong Kong – 1996 – Olympic Games – Complete set of four different stamps – Rs.100. Hungary – 1997 – Coat of Arms – Set of twenty different stamps, many has birds as well – Specimen – Rs.700. Iran – 2005 – Joint Issue with Japan; 2005 World Expositions, Aichi, Japan – Miniature sheet of four values – Rs.100. Iran – 2006 – Scott 2919 – Isphahan Cultural Centre of the Islamic World – Mini sheet of 4x650 Rial different stamps – Rs.125. Iraq – 1982 – SG1550/54 – 7th Non-Aligned Countries Conf. Baghdad, showing portraits of Nehru, Nasser, Tito etc – 5v – Cat. £4.75 – Rs.200. Isle of Man – 2001 – Joey Dunlop; King of The Mountain – Presentation pack of six different stamps – Fv of stamps only £2.61 – Rs.230. Kiribati – 1998 – Spiny Lobster; WWF – Four different designs – Sheet-let of four se-tenant strips & M/sheet Fv $5.50 – Rs.280. Liberia – 1993 – Flora of Liberia – Beautiful Miniature Sheet of nine different stamps – Rs.200. Libya – 1983 – Fishes of Jamahiriya – Sheet-let of 16v – Fv 400 – Rs.200. Liechtenstein – 2010 – Agriculture in the country – First Day Cover of complete set of four stamps – Rs.170. Malawi – Protect the Nature; Butterflies – Set of three different stamps – Rs.90. Malaysia – 2008 – Currently Heritage Series; Coins – Complete set of four different stamps – Rs.100. Mauritius – 1995 – SG926/29 – Lighthouses – Complete set of four different stamps – High Catalogue – Rs.200. Mauritius – 1996 – Modern Olympic Games – Complete set of four different stamps – Rs.120. Namibia – 1994 – Coastal Angling; Fishing – Miniature Sheet of four different stamps – Rs.90. Nauru – 1994 – SG429 – Nauru's Entry into International Olympic Committee – Rs.50. Nauru – 1997 – SG MS471 – Golden Wedding Anniversary of HM Queen Elizabeth II & HRH Prince Phillip – Rs.90. Nauru – 1998 – SG476 – Visit of International Olympic Committee President, Juan Antonio Samaranch in Nauru – Rs.80. Nepal – 1994 – Children’s Activities; Health, Education, Sports & Stamp Collection – Se-tenant block of four different stamps – Rs.40. Nevis – Two Miniature Sheet on Apollo Soyuz Viking I projects Space / Aviation – Rs.360. New Zealand – 2010 – International Stamp Exhibition "EXPO 2010" Shanghai, China – First Day Cover of complete set of five large sized se-tenant stamps – Face value of stamps only $8.20 – Rs.300. New Zealand – 2011 – Beyond the Coast; Marine Life / Fishes etc – Set of two First Day Covers with complete set of twelve different stamps (Fv of stamps $9.80) – Rs.330. Norfolk Island – 1997 – SG644/46 – 50th Anniversary of First stamp; Ball Bay Views – Stamps on stamps – One se-tenant pair + one large stamp – Fv $10.50 – Rs.300. Norfolk Island – 1997 – SG MS656 – Shanghai’97; Oriental Pearl TV Tower – Souvenir sheet of 1v – Rs.60. Norfolk Island – 1998 – SG663 & MS664 – Bicentenary of The Norfolk Tasmania Circumnavigation; Ships – One stamp & Souvenir sheet of one value – Rs.130. Palau – 2001 – Scott 610/15 – “Phila-Nippon 01”; The Beauty of Japanese Art – Sheet-let of six values, 2 x sheet-let of five values and three Souvenir sheets 1v – Fv $15.60 – Rs.600. Papua New Guinea – 1975 – SG286/89 – Fauna Conservation; Birdwing Butterflies – Complete set of four different beautiful stamps – High Catalogue – Rs.150. Russia – 1996 – Trains – Miniature sheet of 1v – Rs.50. Seychelles – 1989 – SG724/25 – Jawaharlal Nehru – Set of two stamps – Rs.200. Sharjah & Dependencies – 1971 – Set of seven different stamps – Domestic Animals – Rs.75. South Africa – 1981 – Scott 553/56 – 10th World Orchid Conference, Durban – Souvenir Sheet of four different stamps – Rs.90. St. Helena – 1996 – SG721/24 & MS725 – CAPEX’96 – Mail Systems of the Island; Ships, Mail Van, Aeroplane, Airport, Helicopter, Scooter, Train – Complete set of four different stamps & Miniature sheet – Fv £2.50 – Rs.170. St. Kitts – 1997 – SG500/13 – Butterflies – Complete set of fourteen different stamps – Rs.1000. St. Lucia – 1994 – SG1105/8 – Christmas / Flowers – Complete set of four different stamps – Rs.120. Tuvalu – 1997 – SG 770/81 – Fishes; Definitive issue – 25c to $3 – Twelve different stamps – Specimen – Rs.625. United Nations – 1992 – Earth Summit June 1992 – Beautiful se-tenant block of four different stamps – Rs.70. USA – 1992 – Space Shuttles – Se-tenant block of four different stamps – Rs.150. USA – 1996 – Cycling – Miniature Sheet of two different stamps of 50c each – Rs.100. USA – 1999/2000 – Three covers with three special cancellations “Postmark of the Century” dated 27.12.1999; First Day of Issue of Christmas stamp, 31.12.1999 & 01.01.2000 – Rs.250. USA – 2008 – Sixth International Philatelic Exhibition Washington D.C. – Corner block of four same stamps – Rs.60. Vietnam – 2000 – WWF; Endangered Species-Saola – Complete set of four different stamps with one side margin having colour codes – Rs.130. Zimbabwe – 2003 – Empowerment of Women – Complete set of two different stamps – High Face & Catalogue – Rs.220. Zimbabwe – 2004 – Scott 963/68 – Orchids – Complete set of six different stamps – Cat. $24 – Rs.180. Complete issue of fifteen different Miniature Sheets for Hong Kong’97 from Ascension Islands, British Indian Ocean Territory, British Antarctic Territory, British Virgin Island, Bahamas, Cayman Islands, Falkland Islands, Kiribati, Liberia, Papua New Guinea, Samoa, Solomon Islands, St. Helena, St. Kitts and Trinidad & Tobago; covering various topics – Offered below to face value – Rs.800. Whole World – Mixed 300 stamps – Large & small – MINT stamps with various themes – Rs.750. Whole World – Mixed 500 stamps – Large & small – Used Off paper [good stuff for beginners] – Rs.325. STEMPE, bi-monthly bulletin of South Africa [Multicoloured good & informative articles & other stuff] – 40 different issues of 1996 to 2013 Just in the rate of scrap – Rs.400. “American Philatelist”, Monthly Journal of American Philatelic Society – 9 issues – May 2007 to January 2008 – Priced US $4.95 each – Rs.425. “Gibbons Stamp Monthly” Magazine from UK – November 1992 & May 1993 – Two issues – Very fine condition – Rs.100. “The Northern Philatelist”, Bi-monthly journal of Northern India Philatelists Association – Twenty five different issues with so many articles – Rs.200. Topical Time, Bi-monthly magazine of American Topical Association, USA – Twenty different, issued between 2000 to 2010 – Cost US $5 each – Having various topical articles – Rs.1200.